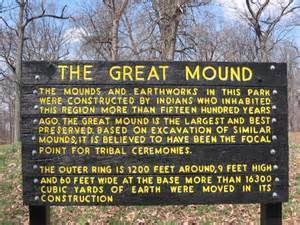 Evidence of mound builders can be found in several Midwestern and southern U.S. states with a sizeable number scattered over Indiana. The two main locations of prehistoric mounds in Indiana are preserved at Mounds State Park in Grant County in the east-central part of the state and Angel Mound State Historic site that spans modern-day Vanderburg and Warrick counties in the southwest corner of the state near Evansville, Indiana. 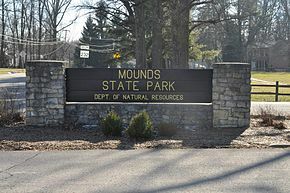 The mounds found at Mounds State Park in the east-central region of the state are thought to have been constructed by the prehistoric Adena people and used centuries later used by the Hopewell Indians. Archeologists believe the mounds were used by the Adena/Hopewell cultures between 250 B.C. and A.D. 200 for religious and burial purposes. Over three hundred of these earthworks have been recorded in central Indiana alone. The park contains several impressive mounds including the Great Mound and Circular Earthworks and the Circle Mound and Rectangular Earthworks. Like structures found from the Mayan culture, the Indiana mounds seem aligned to mark the summer and winter solstice. Angel Mounds located at the southern tip of the state near Evansville, Indiana is the work of the Mississippian people, who inhabited the site from 1000 to 1450 AD. The site, which encompasses over 100 acres is named for the Angel family who owned the land from the mid-19th century until 1938. The farm was purchased for the state by the pharmaceutical baron, Eli Lilly. Angel Mounds is considered one of the best pre-historic Native American sites in the United States. The first white settlers of southern Indiana were both surprised and flummoxed by these mounds that could reach as high as seventy feet, or so low as to be indistinguishable from the natural rolling landscape. When the white settlers inquired of the local Native Americans about the mounds, the local tribes shared stories passed down to them by their elders about an ancient people who’d built the mounds and how their own people had made war on the ancients and wiped them out. 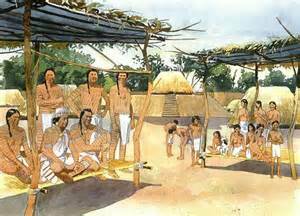 That, however, may have been bravado on the part of the more modern tribes as archeologists have determined that the Mississippians were long gone when tribes like the Shawnee and Miami moved into the area around 1650 A.D. So who were these ancient people? Both the Adena/Hopewell and Mississippians were agrarian people who must have found the rich soil of the Ohio Valley perfect for growing their maize. 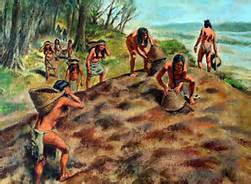 The Mississippians built their town on the third terrace of the mound above the area flooded by the waters of the Ohio river by carrying 67,785 cubic yards of dirt in their baskets. 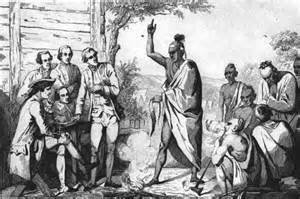 So, if the Shawnee and Miami didn’t do the Mississippians in, what happened to them? Scholars speculate that droughts and overhunting may have lead to the collapse of the chiefdom which, in turn, lead to the demise of the Mississippians. As for this modern-day Hoosier, I’m just glad our first Hoosiers left such impressive monuments to their cultures for us to enjoy. Have you visited any sites left around the U.S. by the mound builders? If so, I’d love to hear about it. I've never heard of these mounds before....Very interesting. Hi, Sandy! Yes, I found that Pennsylvania has several of these mounds. Too bad much of the contents were lost. I do hope some artifacts survived and are unearthed one day. Hi, Janet! I haven't visited Mounds State Park or Angel Mounds in my state either. 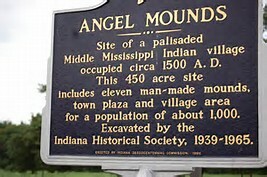 I have informed my hubby that I'd like to drive down to Angel Mounds sometime this summer. 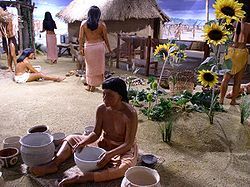 I have been to Cahokia Mounds in Illinois, another large complex, and I live not too far from Wycliffe Mounds in western Kentucky, but haven't visited there yet. 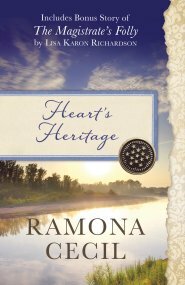 Thanks for this info, Ramona!